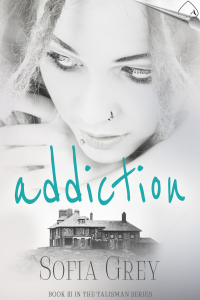 ADDICTION (Talisman #3) is currently on offer. Until 12 January, you can grab it for the discount price of $0.99, and then it goes up to $3.99. Although it forms part of the Talisman series of dark, paranormal romantic suspense stories, you can read it as a standalone. Tempted yet? Krista Inglewood’s addiction runs deep; she can’t survive without a regular fix. Her Talisman bracelet, stolen when she was a child, was the only thing that ever kept the craving at bay. Until she meets Matty. He sneaks under her defenses and calms the incessant noise in her head. Matty knows Krista is bad news, but he can’t get enough of her. His first instinct is to help, but when he learns her addiction is linked to the sickness crippling his sister, he has to face the ugly truth. Finding her missing Talisman may be the only thing that can save Krista.